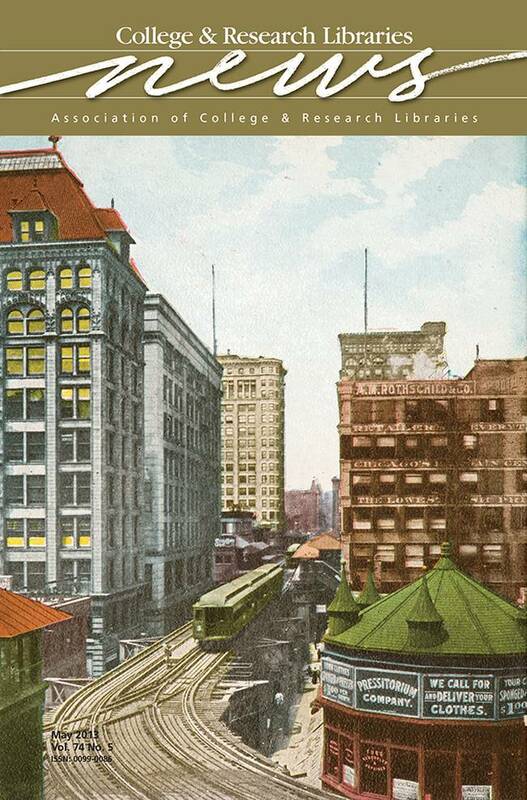 This month’s cover image depicts the elevated train in Chicago’s Loop around 1910. The tracks are flanked by buildings decorated with advertisements for the Rothschild & Co. department store and the Pressitorium Company. The scene captures the bustling center of business of Chicago’s Loop. This image is part of the Newberry Library’s Christiane Harzig Collection of Chicago Postcards (circa 1900–1910s), which consists of 190 tinted views from across the city, including the Board of Trade, Michigan Avenue, and the gardens of Lake Shore Drive. The postcards were published by various Chicago firms, but most were printed in Germany. For more information on the Modern Manuscript collections, visit mms.newberry.org/ and explore all of the Newberry’s collections at www.newberry.org/.